Summary: It’s a shame that Ben relies on overcooked genre conventions to wrap up some of these questions. Despite a number of industry screenings back in November last year, audiences in the UK have had to wait a further six months for Ben Affleck’s directorial debut. Postponed out of sensitivity to the Madeleine McCann disappearance, the film has finally arrived in British cinemas. That said, audiences would be forgiven for thinking twice about paying to see a film co-written and directed by a square-jawed former A-lister, whose most recent acting credits are dominated by certified turkeys Paycheck, Surviving Christmas and, um, Gigli. 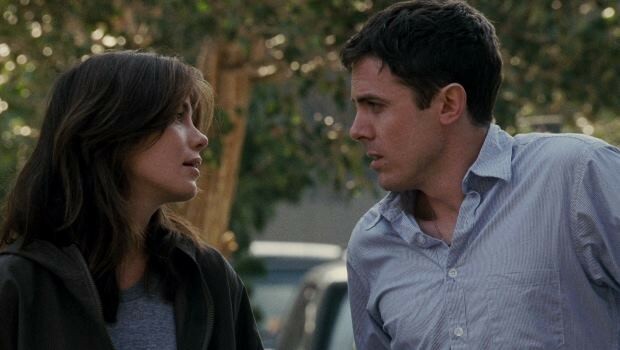 We can only hope, however, that cinema-goers are willing to overlook these dramatic missteps, as Gone Baby Gone is a stunning redemptive move. Ben ended up casting his own younger brother Casey in the lead as Boston PI Patrick Kenzie, a youthful and streetwise individual who, along with his girlfriend and PI partner Angie (Monaghan), is hired to track down missing four year-old Amanda McCready when the police investigation goes nowhere. Cue an exploration into the seedy criminal underworld of Boston, via corrupt cops and child abuse. It would perhaps be easy to criticise Ben for falling back on the double-whammy of his home town as a shoot-location and his brother as the star, but the reality is that the result is deeply impressive. Riding high on the critical plaudits gained from The Assassination of Jesse James by the Coward Robert Ford, Casey exudes quiet confidence and an authority in the role that’s difficult to fault. In many ways, in adapting Dennis Lehane’s source-novel with childhood friend Aaron Stockard, Ben has delivered an uncompromising dose of social reality. Casey seems to slip right in where he left off in his childhood and has no trouble convincing as the baby-faced Kenzie. He heads an impressive cast including Ed Harris, Morgan Freeman and Amy Ryan as Amanda’s deadbeat mum. Ryan has graduated to a deserved Oscar nomination from that other exploration of social reality, TV show The Wire, which unfortunately remains criminally under-seen in the UK. Ben’s audacious take on the material is both shocking and gripping, although perhaps shouldn’t be surprising since the last time he co-wrote a story of life in Boston, he and Matt Damon came up with Good Will Hunting and the Academy gave them an Oscar. Perhaps more impressive than nailing social realism, however, is the unexpected moral maze that both Afflecks negotiate with unexpected skill. Ben shows a keenness to explore every shade of grey that the story throws up, and as family secrets and dark plots emerge kicking and screaming into the Boston sunshine, the story becomes less a case of right and wrong than a series of complex moral questions that require uneasy decisions and will keep audiences talking long after the credits have rolled. It’s a shame that Ben relies on overcooked genre conventions to wrap up some of these questions and streamline the pacing, and the narrative occasionally drifts as he pauses once again to soak in the Massachusetts atmosphere. Ultimately, however, these are minor quibbles in a devastating debut.